Are you feeling overwhelmed by countless guitar learning resources, lessons and videos that all seem to suggest a different way of learning guitar? 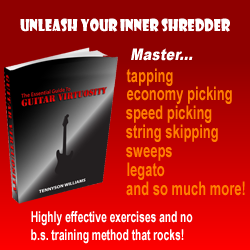 Do you want to find out how to sort through the never ending guitar exercises so that you can only focus on the most effective guitar practice materials? Would your guitar playing journey become easier and more enjoyable if you knew exactly what and how to practice guitar to become the musician you want to be? From teaching hundreds of guitar players over the last 25 years, I have found that most musicians do not have a shortage of “things to practice” on guitar. The problem that I see many guitar players run into is not knowing how to organize all of their guitar exercises into an effective guitar practice schedule that moves them towards becoming better musicians. If this sounds like you, then I want to show you how to determine what you need to practice on guitar to improve your musical skills in the fastest way possible. One of the most common reasons why guitarists don’t make a lot of progress with various guitar exercises is because they try to work on way too many materials at once. As a result, a lot of time is wasted on randomly moving from one exercise to the next rather than focusing on each exercise in the most effective way possible. The truth is that you can often improve your guitar playing faster by practicing a smaller group of guitar exercises that are organized in a strategic way as opposed to trying to cram in as many exercises as possible into every guitar practice session. 1. The “precise” guitar playing skill (or problem) that you are attempting to improve by practicing a given guitar exercise. 2. Your long term guitar playing goals and how the exercise you are working on will help you to get closer to becoming the musician you want to be. Above all, you must remember that the only reason why guitar exercises are needed in the first place is to help you solve various guitar playing problems. As simple as this concept is, most guitar players do not practice with this understanding in mind. The more specifically you can define your guitar playing problems, the easier it will be to find the most effective exercises to overcome them. For instance, rather than saying: “I want to increase my speed with scale sequences”, you need to identify an exact problem such as: “I need to practice the picking hand motion that happens when my pick is caught inside the strings”. Clearly define your long term guitar playing goals. Find out what musical skills you must develop in order to achieve the long term result that you want. Study this free resource on how to improve your guitar skills to understand how to do this step correctly. With the clarity you have achieved from doing steps 1 and 2 above, it will now be much easier to narrow down your guitar practice exercises to those that are very specific to your guitar playing challenges. Do this to prepare yourself for step 4. Design a highly effective guitar practice schedule containing the guitar exercises you have selected in the previous step. Organizing your guitar practice time in the most efficient way possible will require some experience to be done correctly. Read this page to get some guitar practice tips on creating your guitar practice schedules. 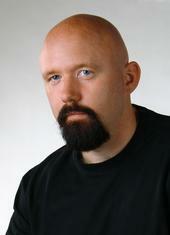 Keep in mind that ultimately it is you who is responsible for the results you experience in your guitar playing. Even after you have correctly put together the list of effective guitar practice exercises, you must remind yourself to stay focused at all times on the specific problem you are trying to solve while practicing. Don’t allow your hands (or your mind) to go on autopilot. As you begin to practice in this way, you will most likely notice that some guitar exercises can often be used to develop multiple skills simultaneously (as I explain in this video about guitar practice exercises). If you take guitar lessons from a proven guitar teacher (who has helped many people to become great guitarists), he/she should be familiar with the concepts I explained above and should be structuring your guitar lessons with these ideas in mind. However, if you have had a hard time with making progress on guitar up to this point, implement the ideas from this article into your guitar practicing and you will see your musical skills start to improve at a much faster pace than ever before! When you begin to implement the above steps into your guitar playing, you will find that the process of reaching your musical goals will become a much easier and more enjoyable experience.